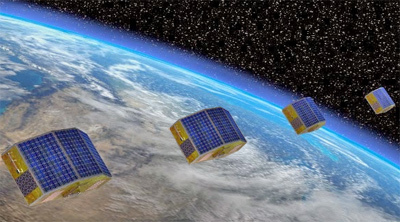 SARE-1B, part of the SARE System of the National Space Program by CONAE, is the first Argentinean Segmented Architecture technological demonstration mission. SARE-1B consists of four satellites positioned in LEO orbit working cooperatively with SAOCOM 1B. The four satellites will test special capabilities for distributed satellite constellations such as communication between the satellites, distributed functionalities and coordinated pointing. STI has developed together with CONAE the complete foundational concepts and the preliminary designs.